Follow Jahmal Cole and the kids of Collins Acadamy as they visit the downtown Chicago Facebook office where they're introduced to a working world they never thought possible. Watch as a panel of professionals expand their horizons and show them that with drive and ambition nothing is stopping them from being in their position someday. 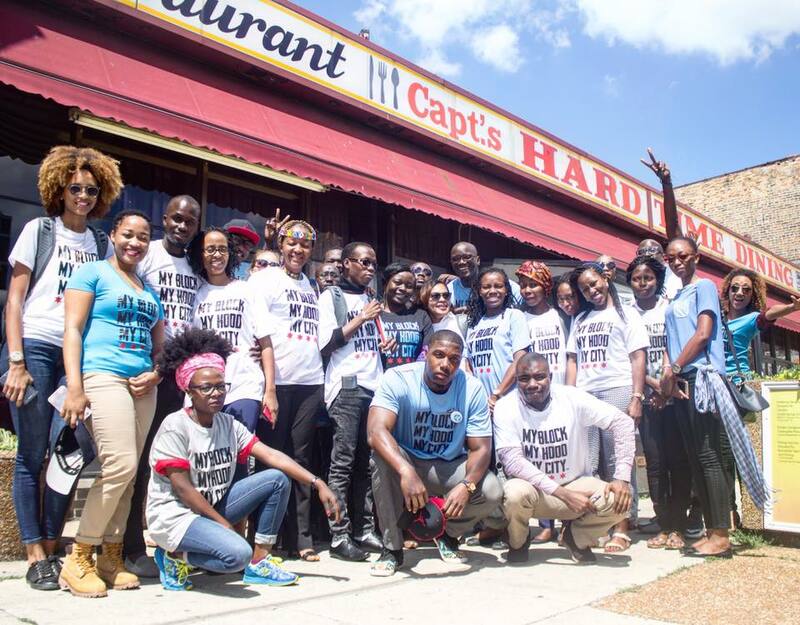 African Group Tours South Side, Sees "Another Side to the Story"
CHATHAM — "My Block, My Hood, My City" founder Jahmal Cole wants to raise money to take his group’s teens to Senegal. The idea for the trip came after he led a tour of 27 African entrepreneurs from more than 20 countries through Chatham on Tuesday. They ate chicken and waffles at Josephine's Cooking, 436 E. 79th St., formerly the iconic Captain Hard Times. They also listened to Cole talk about his group, which typically takes teens from the South and West sides to places they haven't visited Downtown and the North Side. Cole said that setting up a trip for Chicago teens to visit Africa would give them hope and possibly inspire them to learn more about their heritage.